Indulge me.................I truly need to indulge in some bright and beautiful pink today. 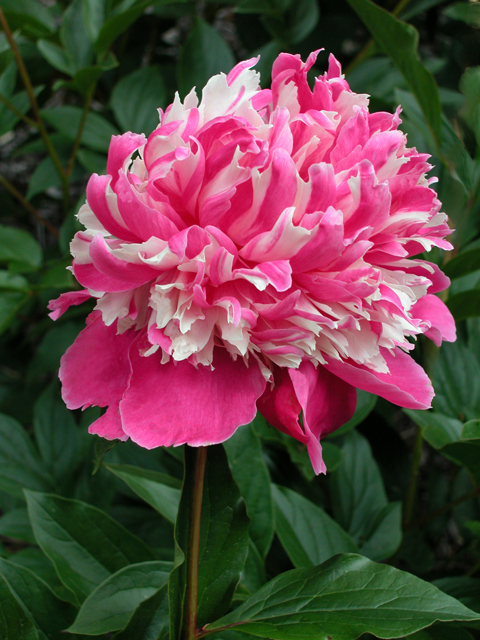 Isn't this peony the most beautiful? I have been off in more ways than one the last few days with a seasonal sinus problem and I am also a bit concerned, I notice my own pink peonies are almost ready for an early bloom. This means I won't have my masses of peonies in late May which means I will over conspensate with annual plantings which isn't the same to me as all. I like both going at the same time. Do you feel the same about this crazy spring? Looking at that gorgeous peony reminded me of this dress which certainly looks like floral petals. Looking at this remarkable creation is making me feel a tad better today..........the colour and the movement. All this brilliant pink brings me to my latest and mostly insignificant pet peeve. My daily latte and it's take-out container. I have been looking at it every day for months now and can't help but think my Canadian brand Second Cup and Starbucks too are pouring coffee and lattes into the most boring of cups, what's with all the drab brown? There I said it. I was thinking this way before I saw the stylish Fauchon Paris coffee photo on the entertaining and artistic blog Paris Breakfast............there might be "a little love in every cup" as it says on my Second Cup latte but couldn't both these coffee companies be a bit more creative with cup colours and design? Why does Paris get all the fun? There must be a better design than this. Need more pink today? Go to my Anything Pink Pinterest Board. I would love to find one of these plantings. Gorgeous. Love the lacy, confetti-like petals. Im with you on the boring cups. Christmas is the only time they kick it up a notch. Sande I agree the marketing people need to come up with much better packaging! Just like you do! I am featuring Designer and Paper Artist Anita Rivera on my site! She is amazing! Well if there is anyone who knows the positive influence of beautiful presentations, it is you. Hello !! 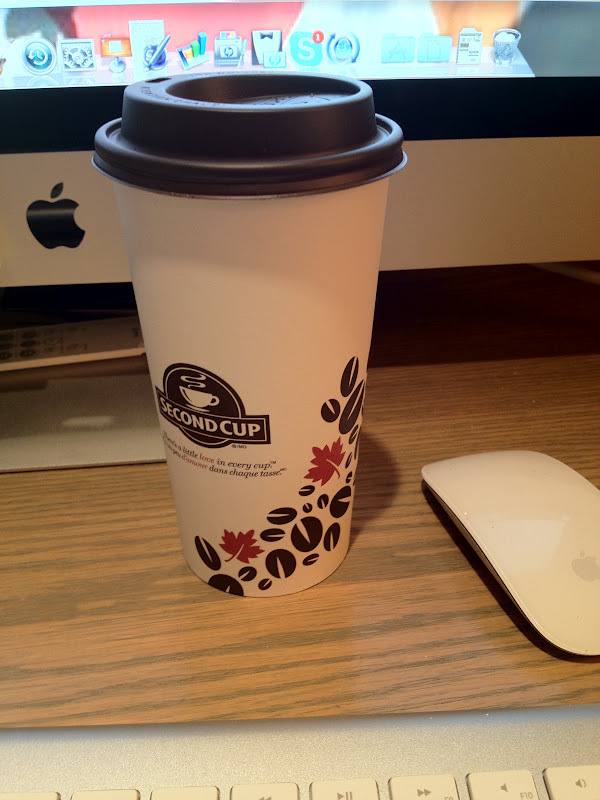 designers of boring coffee cups....... hire this lady. Thanks for the introduction to this peony, I've never seen this one before. Dior dress= breathtaking! oh my goodness gracious! That makes me want to drop what i am doing and start sewing... which i shall do after finals are over! That is the prettiest peony I have ever seen - wow! I am nearly bi-polar with this weird spring. The azaleas, dogwoods and redbuds are long gone and the iris - IRIS!!! - are already in full bloom. But for this cold day and all the rain yesterday the peonies would be in full bloom - a full two weeks too early. It's pretty, but way too soon. And, what will be left by the first of June? What a magnificent beauty that peonie is! It reminds me of those pink and white striped hard lollies - not sure what they are called, maybe humbugs? This spring has been different than usual here as well. Since we had a very mild winter, all of the roses have already done their first round of blooms, which means no fresh roses from my yard at Amelia's party--that's okay; I'll improvise. We've also been "invaded" by swarms and swarms of butterflies! They're every where and so plentious that it's no surprise for me to look down at my skirt while watering the garden and find a beautiful butterfly resting on it! That Dior skirt is just gorgeous. It has Sande Chase written all over it, especially since it's paired with an unexpected colorful pair of heels! Yum Yum! This post was delicious! I loved so many of your photos. I went to your Pinterest page and ogled over so many of your pins. Thanks for some fun! Sounds like a great new marketing campaign or a contest with huge potential...make mine a Peonie latte. With sewing, fashion design, makeup artist and now interior designer in my tool belt of experiences I love all these great photos of gorgeous peonies, Dior couture, and latte cup colors...isn't technology grand! I am in love with all the pink!! 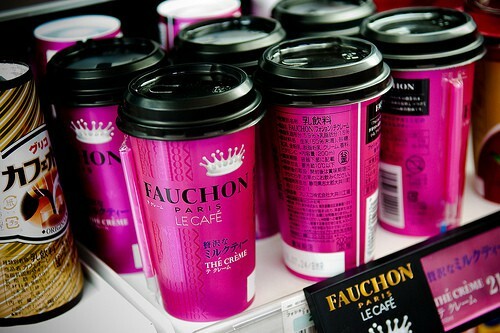 Those pink coffee cups are amazing and I need them in my life!! J'adore Dior!!! I saw this dress and literally gasped!!! I'm not even a fan of pink, but this dress has just converted me!! !